In late 2018, an article published in the Chronicle of Higher Education took aim at an aspect of academic life that many American educators believe should be reconsidered: final examinations. On the surface, final exams are intended to determine if students have properly absorbed the course materials, but they are a high-stakes situation that may not give instructors or even students themselves a clear picture of their learning. Even if they have not mastered course materials, some students are better than others when it comes to taking tests. Students who are stressed and overwhelmed are more likely to score poorly on final examinations. Final examinations often feel like awarding the NASCAR Cup to the driver who wins the final lap at the Homestead Speedway instead of using the traditional points system. At Florida National University, some courses feature final examinations while others do not. As a higher learning institution properly accredited by the Southern Association of Colleges and licensed by the Florida Commission for Independent Education, FNU is expected to deliver certain portions of its curriculum in accordance to established practices, and this means that final exams are often part of core courses. Some instructors, particularly those who teach graduate programs, forego finals and instead assign a project that must be completed over the length of the semester; this option demands more work from students. Either way, chances are that you will encounter final exams in at least some FNU courses. Whether you’re bearing down on the end of this semester or looking to prepare for the next one, the latter being even better, you know that finals week will always come around. Yet, it doesn’t have to be a stressful and hurried time. Here are 10 tips on how to prepare for final exams in college. 1) Ask Questions and Request Help When You Need It. Talk to classmates who clearly master the material and see if they’d be interested in helping you study. For many people, teaching is a great way to solidify their knowledge, so this would be a win-win situation for both. Don’t be afraid to ask classmates or friends who have already succeeded in the class to help you study for finals. If your course features teaching assistants or tutors, take advantage of their availability to ask questions. Approach them before or after class, or visit them during office hours. Instructors have regular office hours to ensure that they are available to students. If your schedule conflicts with the instructors’ office hours, send e-mails to set up alternate times. Instructors are there to help you understand the subject, and by asking questions you show them that you care about the material as well as your grade. 2) Become Involved From Day One. Keeping up with all readings and assignments throughout the semester will minimize the time you need to prepare for finals. Attend class punctually and regularly. While you may be able to borrow a friend’s notes if you miss a class, this will never compare to being consistently present. 3) Don’t Just Study Hard – Study Smart. For each subject, be sure to make a list of the course materials and the chapters that you’ve covered in the course. Consider how difficult each chapter or type of material was for you and write your evaluation next to it. You can use labels such as easy, somewhat difficult or extremely difficult; this will help you determine how much time you should spend on each chapter or area. It is also useful to study the difficult parts first; in this fashion, you will have more time before the exam to address particular difficulties or areas you really need help with. 4) Study with a Friend or Group. Do not wait until the last minute to form study groups. Early on in the semester, approach classmates with the idea of forming a study group. It is ideal to have at least three people in case one person backs out, but not more than five since larger groups often turn difficult to coordinate. Organize your study groups by doing a few practice sessions early to go over class notes and areas that should be covered. Everyone in your study group will feel ahead of the game with an early start. Knowing that study group members depend on each other is a great method for reducing stress and increasing your motivation to study. In the case of FNU courses and programs that can be fully completed online, you can use the course forums to organize and coordinate study groups. 5) Don’t Cram – Start Early. Do yourself a huge favor and make a habit of start studying early on in the semester. Spend at least one hour per week reviewing class notes. Highlight all the areas that are important, and look back at the syllabus to narrow down the key areas you’ll need to get a handle on. By simply going over all your class notes, you’ll get a good overview of the specific areas you should start studying. This will also provide your mind with a good summary of everything you’ve been learning this semester. 6) Make a Plan and Stick to It. Make a commitment to spend at least an hour a week per class to focus on the final exam. By setting aside enough time now, you will be preparing your mind for the final exam and everything else that is ahead. If you come across material that you have questions about you will have plenty of time to get answers from your instructors. By reviewing early and often, you’ll simultaneously prepare for finals and midterms. 7) Spend Time Studying for the Tests that Matter Most. Not all final exams and papers are weighed the same. 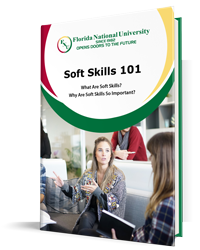 Take a look at the syllabus of each course you are taking and assess how you are doing overall in that course. Make sure you know what percentage each paper or final exam is worth to your grade. This will give you some perspective on how much time you should designate studying for each class. Final exams are not always deal-breaker elements of a course; in fact, some instructors prefer to assign the same weight to all tests so that students do not feel overwhelmed towards the end. 8) Take Appropriate Care of Your Health. It is extremely important to maintain good health in order to do your best in school. Exercise regularly and set aside time to take breaks from studying and working. Eat healthy foods to keep you energized and focused. Stick to a regular sleep schedule; this is particularly important in the days and weeks preceding finals week. Pulling all-night study sessions can easily result in low grades because being tired will significantly affect your attention and comprehension. Make it a point to relax with friends regularly and participate in non-academic activities to avoid getting burned out; to this effect, FNU organizes events at its Miami and Hialeah campus locations as an effort to make student life more interesting. If you would like to learn more about FNU events and student life, contact one of our academic counselors. 9) Respect Your Personal Habits and Abilities. What time of day are you more focused? If you are bright and fresh in the morning, then this is the best time for you to study. However, if you are a night owl and find more energy after dinner, this is when your brain is ripe to soak up information. Respect how your body clock works and use it to your advantage when studying. How much studying do you really need to master the material? Do you start to zone out when study sessions last more than two or three hours? If this is the case, schedule more frequent sessions that last shorter amounts of time. However, if you do your best and really get rolling after an hour or so, schedule a whole day away from other distractions so you can concentrate in full and progress. Do you study best alone or with a group? By testing yourself or simply re-reading the material? Try various methods and see how they work for you, then be sure to stick to them in order to really do your best. Rather than being worried and stressed, be proactive and calm. Plan well, structure your time appropriately and believe in yourself. Take care of problems you can handle right away; for example, if you find that your budget can no longer accommodate tuition, you may want to look into the financial aid opportunities offered by FNU. When you have difficult moments, take a walk or breathe deeply. Take a catnap to refresh or relax with a cup of tea and a good book. 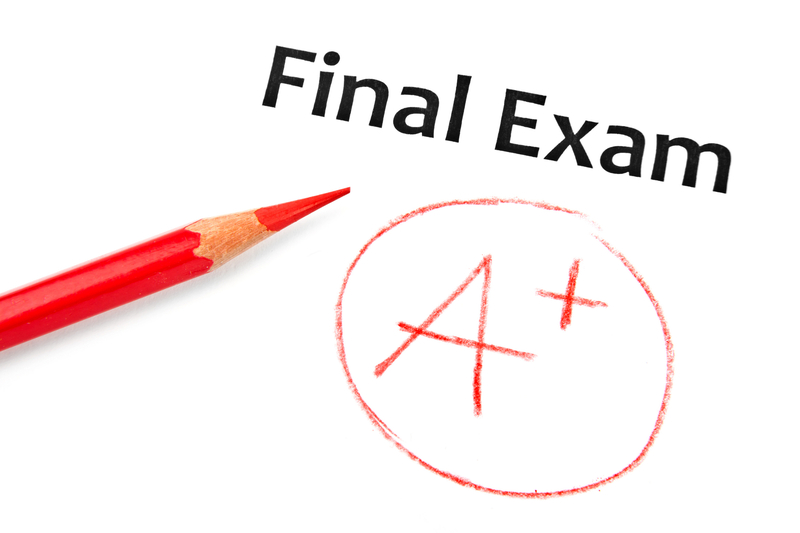 Remember that feeling calm and centered will allow you to bring out your best for the final exam. The FNU Academic Advising team can help you with strategies to make the most out your college education. From ESL classes to courses that focus on studying techniques, FNU wants to help you achieve academic success. Get in touch with our academic counselors today. Finals week always seems to be just around the corner. It doesn’t have to be a stressful and hurried time. Here are 10 tips on how to prepare for final exams in college.